Product prices and availability are accurate as of 2019-04-19 06:46:18 EDT and are subject to change. Any price and availability information displayed on http://www.amazon.com/ at the time of purchase will apply to the purchase of this product. Under normal installation conditions, the spare rubber washer is not used. 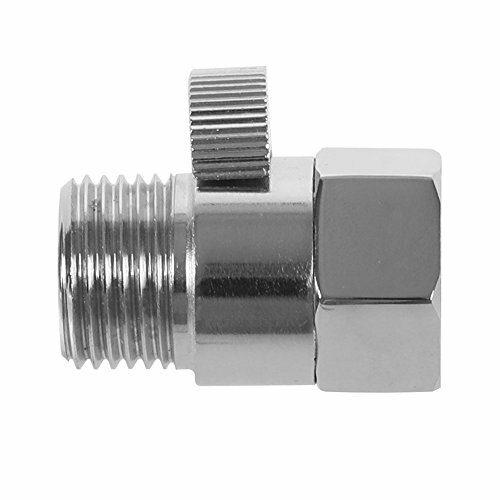 But when the female thread of your hose connector or shower head is too long, you need to put the spare rubber washer into it, then connect the Male threads of the shut-off valve to avoid the leak. 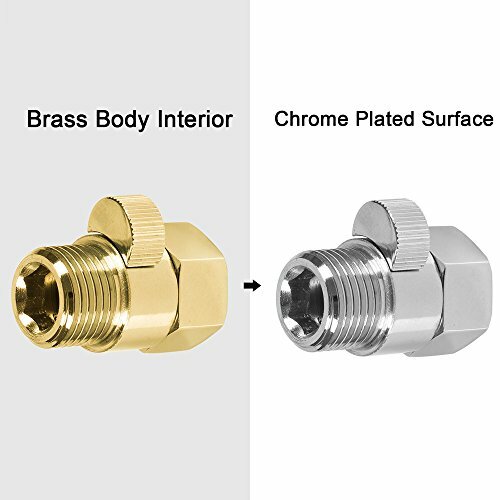 Constructed by solid brass, with brass handle and ceramic valve core, resist scratches and corrosion, to ensure quality and longevity. 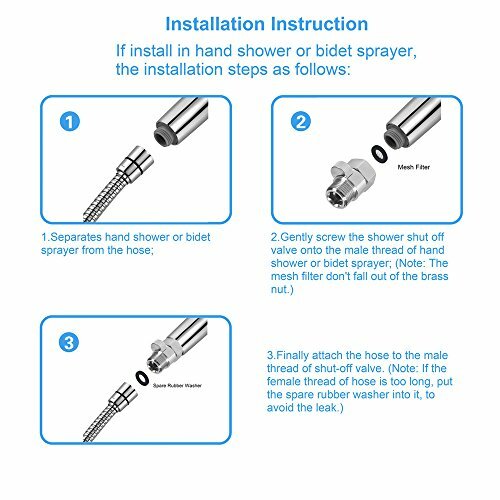 Easily installs shower flow valve in minutes, G 1/2-Inch Male and Female threads, fits any standard shower arm, hand shower, shower head or bidet sprayer. 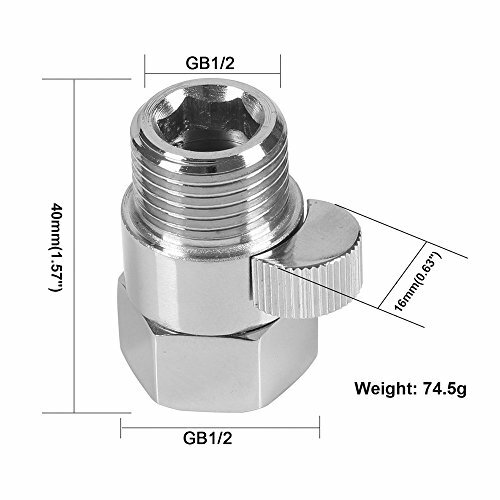 Can be used as shower shut off control, water saving valve, water flow control valve, shower switch valve or pressure reducing valve. 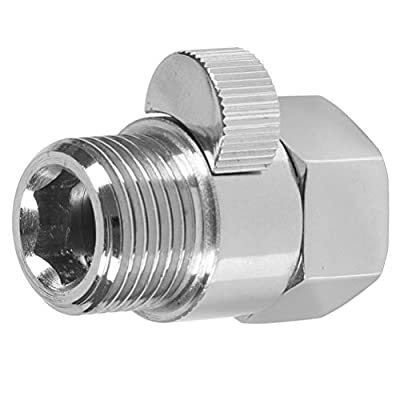 When you shave, wash your hair and bathe your child or pet, you need the valve to slow down the speed of water flow or shut down the flow in a short time. 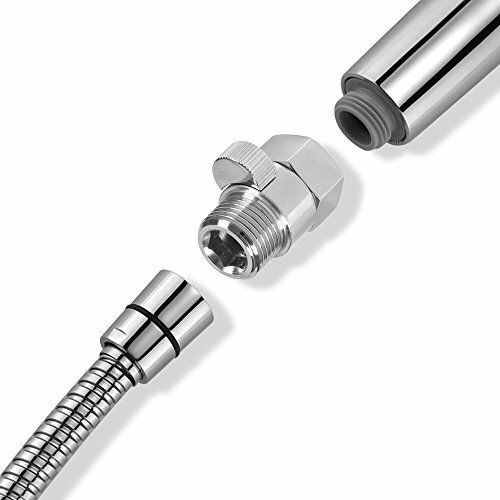 Package includes shut-off valve 1/2 (include Mesh Filter), Rubber Washer and Teflon Tape. Welcome feel free to contact us on Amazon, if you ever need any help.